Massage Therapy is an ancient therapeutic technique considered to be one of the oldest forms of treatment known to man. Massage therapy is the manipulation of soft tissues of the body to gain a therapeutic effect. Soft tissues include muscles, skin, connective tissues, tendons, ligaments and membranes. Therapeutic Massage is a unique form of treatment for coping with stress in the high powered world of today. Many of today’s health problems arise from stress. Because stress upsets the integral balance of your body’s functions, regaining this balance requires a holistic approach. Massage Therapy not only treats those parts of you which are the problem, but also affects the whole of your metabolism through normalizing your circulatory, muscular and nervous systems and their interdependent function. On your first visit you will be asked to fill out a confidential health history form which will help your therapist form your assessment and treatment plan. Massage Therapy should take place in an atmosphere of safety and confidence. You will be asked to undress for therapy but only to your comfort level. Your comfort and welfare are respected at all times. You will be covered at all times except for the area that the therapist is working on. How Do I Pay for Massage Therapy? We accept Mastercard, Visa, Debit, cash and cheque. We do direct billing for Green Shield only. 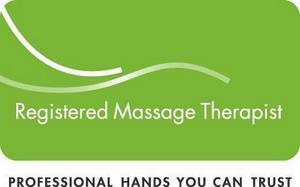 Massage Therapy is not covered by OHIP, but is covered by most extended health care plans. Be sure to check your plan. Many companies require a referral from your physician. Please be aware that Massage Therapy is ONLY covered when provided by a Registered Massage Therapist.